Another one of my favourites. Ugly but beautiful at the same time (not the most showy to the eyes, but beautiful to the mouth, soul, and wallet). This recipe in grey feeds 6 very hungry people, or 8 not-too-hungry people. BLUE TEXT: modification when cooking for a crowd. I have feed up to 15 people for $20. That’s $1.33 per head. Warning: This is not a dish for the vain. Be not surprised: Ingestion of garlic cloves results in increased needs for ventilation for hours or days to come. Did you know that your skin would extrude garlic “stuffs” after a hearty interaction with it? Allicin in garlic (and onion, cumin, etc) are metabolised quickly, resulting in sulphur-like compounds that are expressed through the pores of your skin. O, come, set aside your vanity and live a little. Baking tray large enough to fit all the chicken pieces in 1 layer. Since some ingredient adjustment is based on the number of trays, not the size of the crowd, please check your arsenal before heading out for grocery shopping. Oven capacity able to handle the number of trays at once. Because this dish takes a long time to reheat once cooled, it is not unmanageable, but complicated. 12 chicken thighs SKIN ON, Bone in. 1/2 cup plus 2 tablespoons olive oil. Some ingredient’s amount differs base on number of people, others changes based on number of baking trays! 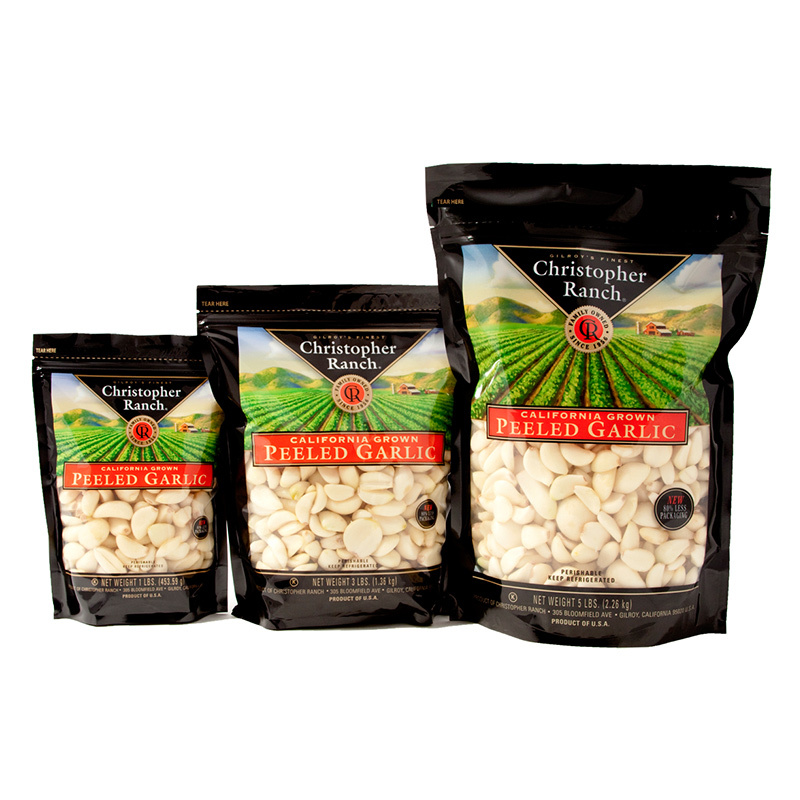 Go to costco and packs of these, estimate at 0.5-0.75 lbs (2-3 pieces) per person. Olive Oil: Get tons, you can always use the left overs. You need enough to cover the bottom 1″ of the chicken in each pan. Thyme: 5 Sprigs per baking tray. Peeled Garlic: 0.5lb for every 5 people, minimum 0.5 lbs per tray. Preheat oven to 350, 375 for up to 12 servings, 400 for 13-30servings. More than that you will have to do them in batches. Put the biggest pan you have on the stove, crank the heat up as high as you can. Pat chicken dry, season with kosher salt and pepper on both sides. Meat side first so the skin side loses less salt in flipping. If you pan heats quickly, you don’t have to salt and pepper the chicken all at once, you can put some in the pan then continue. Skin side down, on a really really hot pan with a little bit of oil. Do no over crowd the pan, leave 1″+ between pieces. Once they hit the pan, leave them alone, and continue salting and peppering the next batch. Patience: The 1st batch takes the longest. Once the meat side is brown and gold, move to baking tray, work on next batch. Baking tray: line chicken in a single layer, no tilts, but slight overlaps is okay. Garlic: Insert between chicken pieces, pack as many as you can fit, pile the rest on top. Why not. Olive oil: Pour in, make sure at least the bottom 1″ of the chicken is submerged, DO NOT cover skin. Bake: Space pans so that you allow for maximum convection. Meaning at least 3″ between pans and oven walls in all directions. Below are but guidelines, you can tell if they are done by picking one up with the COOKED CHICKEN tongs and see if it falls apart. The meat should fall right off the bone. 24 people: 1 hr 45m @ 400. 36 people: 2 hr @ 400. No hotter than this. Generous application of freshly grounded garlics. I am a minimalist, but if you feel particularly fancy: Sprinkle on some parsley and grated parmesan cheese. Rub hands on anything stainless steel under running water, don’t spend money on this stuff. This entry was posted in Entree, Recipes and tagged Food!. Bookmark the permalink.